Product #17660 | SKU 8607 | 0.0 (no ratings yet) Thanks for your rating! 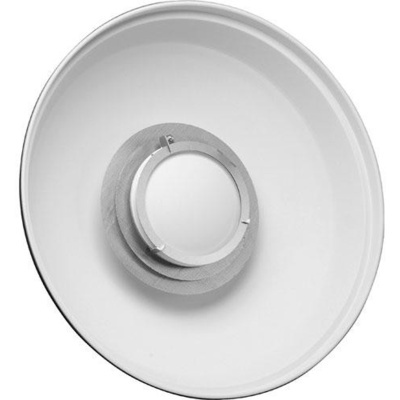 This Hensel 22" ACW White Beauty Dish Reflector is a white pan reflector that fits all Hensel flash heads. A Beauty Dish generates a natural reflection in the eyes of your subject making it ideal for portraiture, weddings, fashion and children.